What happened when Sesame Street and Big Brother were adapted for African audiences? Or when video games Final Fantasy and Assassins’ Creed were localized for the Spanish market? Or when Sherlock Holmes was transformed into a talking dog for the Japanese animation Sherlock Hound? 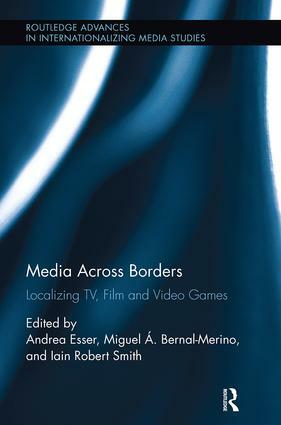 Bringing together leading international scholars working on localization in television, film and video games, Media Across Borders is a pioneering study of the myriad ways in which media content is adapted for different markets and across cultural borders. Contributors examine significant localization trends and practices such as: audiovisual translation and transcreation, dubbing and subtitling, international franchising, film remakes, TV format adaptation and video game localization. Drawing together insights from across the audiovisual sector, this volume provides a number of innovative models for interrogating the international flow of media. By paying specific attention to the diverse ways in which cultural products are adapted across markets, this collection offers important new perspectives and theoretical frameworks for studying localization processes in the audiovisual sector. bibliography; links to relevant companies, institutions and publications, as well as conference papers and workshop summaries.